Philip Jeremiah Schuyler (January 21, 1768 Albany, New York – February 21, 1835 New York City) was an American politician from New York. His siblings included Angelica Schuyler Church, Elizabeth Schuyler Hamilton, and Margarita "Peggy" Schuyler Van Renesslaer. He was the son of Revolutionary War General Philip Schuyler (1733–1804) and Catherine Van Rensselaer (1734–1803). 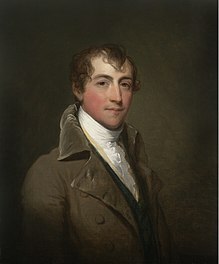 The Schuyler family were intermarried with other prominent New York families, including the Van Cortlandts and Livingstons, and his relatives included uncle Jeremiah Van Rensselaer. Alexander Hamilton, John Barker Church, and Stephen Van Rensselaer were all his brothers-in-law. He received his education through private tutors. Schuyler lived in Rhinebeck, where he managed farms and estates throughout upstate New York which were owned by his and his wife's families. Schuyler served in the New York Militia and attained the rank of major before resigning in 1799. He was a member of the New York State Assembly, serving in the 21st New York State Legislature, representing Dutchess County, and in the 22nd New York State Legislature, representing Albany County. He was elected as a Federalist to the 15th United States Congress, holding office from March 4, 1817 to March 3, 1819. Robert Schuyler (1798–1855), who married Lucinda Wood (1807–1882), an 1817 graduate of Harvard and railroad speculator/embezzler. He died of tuberculosis, and was buried at New York Marble Cemetery. His remains were later moved to the Poughkeepsie Rural Cemetery. His home, an estate he called The Grove, was added to the National Register of Historic Places in 1987. Through his youngest son George, he was the grandfather of General Philip Schuyler (1836–1906). Schuyler was a prominent society figure who was featured in Ward McAllister's famous The Four Hundred. ^ Although both father and son had a middle name beginning with the initial "J. ", the father (Philip John Schuyler) was always known as "Philip Schuyler"; and the son as "Philip J. Schuyler". ^ "SCHUYLER, Philip Jeremiah - Biographical Information". bioguide.congress.gov. Retrieved 21 October 2016. ^ "Charter of Incorporation of the American Academy of Arts and Sciences". amacad.org. American Academy of Arts and Sciences. Retrieved 21 October 2016. ^ "GEN. SCHUYLER, VETERAN, SPORTING AND CLUBMAN; Earned Brigadier General's Stars in Civil War. NEWS PROSTRATES HIS WIFE He Had Just Returned From Grouse Shooting in Scotland When He Was Killed". The New York Times. November 30, 1906. Retrieved 21 August 2017. ^ McAllister, Ward (16 February 1892). "THE ONLY FOUR HUNDRED | WARD M'ALLISTER GIVES OUT THE OFFICIAL LIST. HERE ARE THE NAMES, DON'T YOU KNOW, ON THE AUTHORITY OF THEIR GREAT LEADER, YOU UNDER- STAND, AND THEREFORE GENUINE, YOU SEE" (PDF). The New York Times. Retrieved 26 March 2017. United States Congress. "Philip J. Schuyler (id: S000153)". Biographical Directory of the United States Congress.